For those of you focused on the recent soundbite from Nyjah’s Thrasher interview: take a moment to think about the kinds of responses he has received. There have been a ton of responses, the majority from men who have spent more time on this planet than young Huston, that express a strong disagreement with Nyjah’s statement. 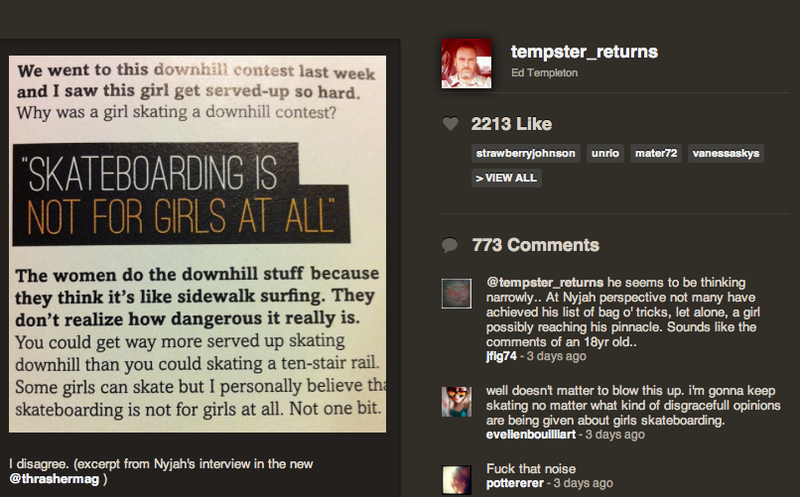 This just goes to show you that there is a ton of support for today’s rising amount of girls and women who skateboard. 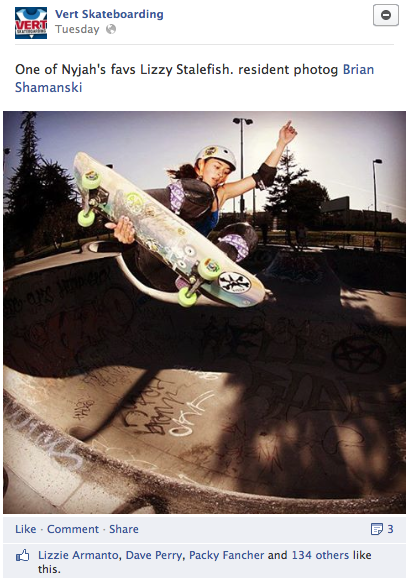 The many who have recently defended women’s skateboarding have not only expressed excitement about girls who skate, but brought up specific examples of female shredders who disprove Nyjah’s comment. 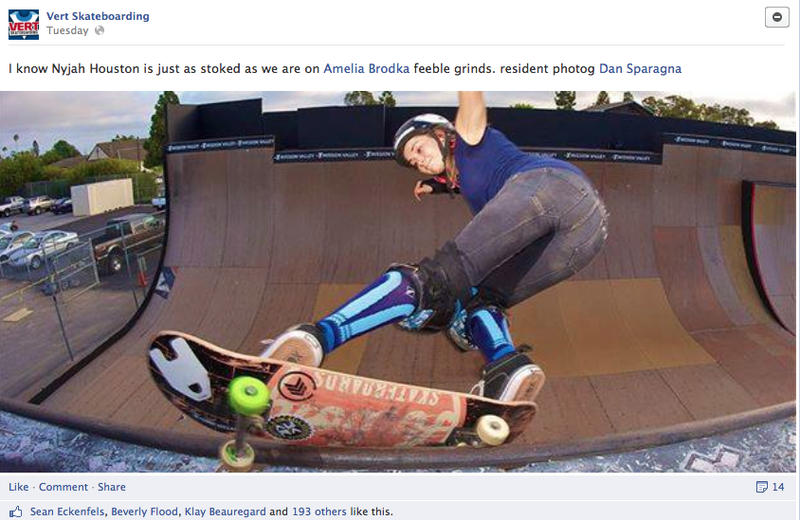 This reveals that people are not only supportive of girls’ skateboarding, but actively follow it. If anything, this innocent slip-up of a young man in the middle of a recorded conversation, has created yet another avenue for people to express that they find value in the growing sector of women’s skateboarding. I hope you can all join me in forgiving Mr. Huston for his accidental comment. He surely expresses himself best through his incredible skateboarding talents. As a fellow skateboarder, he knows playing skateboards is for everyone. So let’s forget about it and go skateboarding. Congratulations on your new shoe, Nyjah! If you want to hear more from Ed Templeton about his support of girls who skateboard, check out UNDEREXPOSED: A Women’s Skateboarding Documentary screening in Ocean Beach this Saturday! it was not an accident, if it was, he could have called up thrasher and asked to edit the interview before printing the mag, in order to maintain his reputation, nyjah is a patriarchyst, sadly because of his dad, and in no way should he be excused for calling it a mistake. he sould be responsible for his actions as the man he is, or calls himself to be, or else, he has no place in skateboarding.